Enjoy your next event in our newly renovated Fireside Room! Bookings outside of our regular hours of operations must be a minimum of 2 hours. Allows group to bring their own food & non-alcoholic beverages; food & beverages must remain in Fireside Room at all times. Please limit food to game appropriate selections, if booking the Board Games Package. Groups must provide their own napkins, cups, & condiments. Allows group to bring their own alcoholic beverages when they obtain their own liquor licence; alcoholic beverages must remain in Fireside Room at all times. Someone over the age of 18 must be present with the alcohol in the room at all times. Get access to our kitchen. Get access to the public sitting area. Get access to the board games, unless noted in rental package. Groups that do not abide by these rules and respect our establishment will be asked to leave without refund. Cancellation notice must be received 14 days prior to the booking date to receive a refund. All setup & cleanup must be completed within the time frame of your booking. Who can book a public event in the Fireside Room? Our Fireside Room booking packages are for private events only. Any public events must be organized in partnership with, and at the discretion of Bower Ponds Recreation. What events can we book in the Fireside Room? The Fireside Room is a great venue for a variety of private events. Including, but not limited to birthday parties, work parties, holiday parties, anniversaries, baby showers, engagement parties, family gatherings, gender reveal parties, graduation parties, retirement parties, and more. When can we book an event in the Fireside Room? Groups may book a private event anytime during our regular hours of operation. A group may be able to book outside our regular hours of operation upon request. 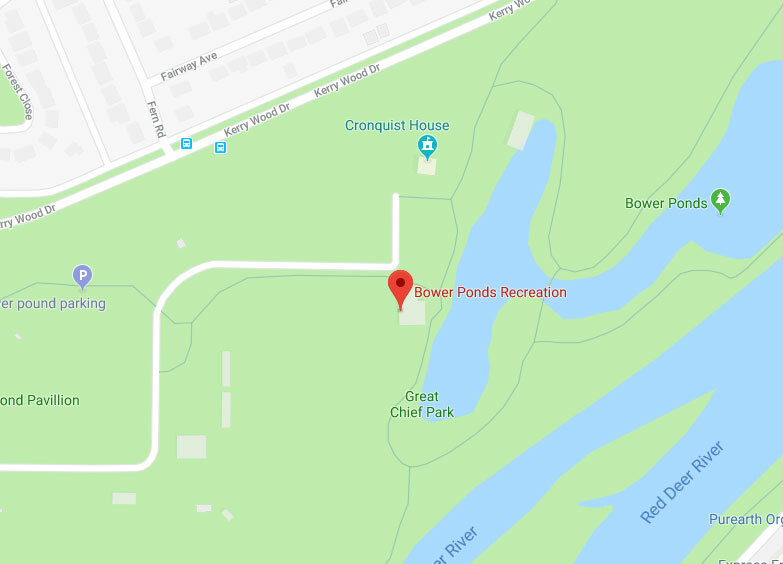 Groups may not book a private event during any scheduled Bower Ponds Recreation events. This includes our schedules board game nights, etc. Where is the Fireside Room located? The Fireside Room is located inside the Bower Ponds Pavillion. The large windows along the southeast side of the room overlook the pond. Can we fit more than the recommended 40 people into the Fireside Room? This will depend on how you plan to use the room. Groups have successfully fit up to 60 people around tables, though it is a tight fit. For larger groups, we are able to creatively find solutions that may work, depending on how you plan to use the room, and when you want to use the room. Can we change the room setup and/or decorate? Yes, you are allowed to change the layout of the room and/or decorate. The layout of the room must be set back to the original layout before you leave. You are responsible to take down any decorations that you set up. All setup & cleanup must be completed within the timeframe of your booking.